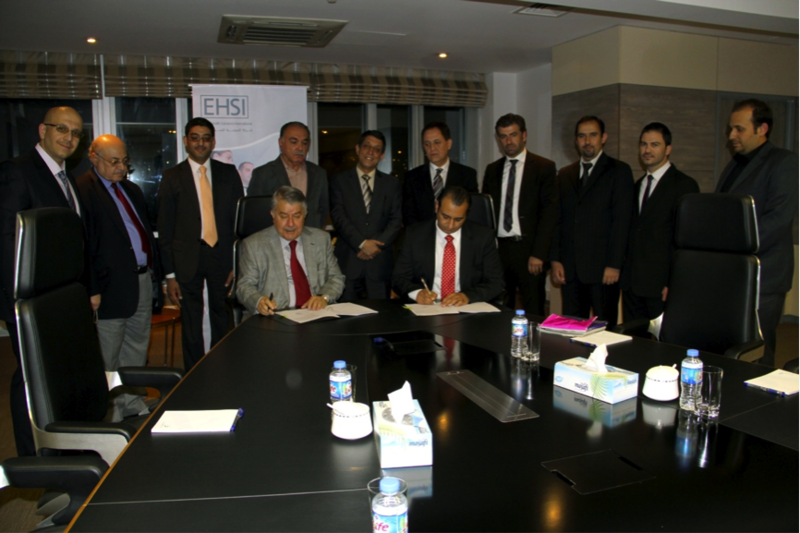 Electronic Health Solutions International (EHSI) signed an agreement with Farouk Holding Group to apply the health computerizing program "Hakeem" in Farouk Medical Center (FMC), located in the province of Al-Sulaimaneyah in Kurdistan district – Iraq. EHSI, based in Amman, is considered a pioneer company in health technologies and their utilization development to improve health care in the Middle East and North Africa. It also promotes "Hakeem"; a program which proved to be successful and effective in Jordan, to countries interested in developing their health services through automating their health sector. The agreement was signed by EHSI CEO, Mr. Ghassan Al-Lahham, and FMC Chairman, Mr. Frouq Rasoul. The agreement aims to computerize the medical procedures in FMC and establish comprehensive electronic patient health records that include patient’s medical history, drug prescriptions, and drug types’ allergy, which will save patients and doctors’ time and effort, reduce spending, and enhance efficiency of health care. In Al-Suleimaneyah, FMC has chosen EHSI to conduct its procedures automation given the effectiveness and radical development achievement that "Hakeem" has proved in health care provided to Jordanian citizens; according to Mr. Farouq Rasoul, the center’s Chairman. Rasoul assured that the agreement will form a qualitative leap in the essence of health care and services that FMC provides to its citizens, and that it will enable the center to serve larger numbers of patients due to the optimal investment in time and resources that "Hakeem" will provide. The use of "Hakeem" will also enable the center to apply the telemedicine system; a highly benefit to patients, as a medium to communicate with international medical centers which provide counseling to treating some medical conditions. EHSI CEO, Mr. Ghassan Al-Lahham, also highlighted the importance of this agreement, explaining that applying "Hakeem" in FMC will contribute significantly in accomplishing the center’s established mission, which is to provide highest standard health care in a reasonable cost; as "Hakeem" will help facilitate all the functions of center’s sections, and ease procedures for patients to receive health care, while contributing to reducing costs of films and medical supplies periodically and storing them instead in Picture Archiving Communication Systems (PACS), as well as reducing the redundancy of radiographs and laboratory tests. Al-Lahham added that the choice of EHSI and "Hakeem" by Farouq Center demonstrates the good reputation they have in Jordan; both in health care and information technology sectors. Al-Laham explained that EHSI’s success in installing "Hakeem" in Jordan has contributed in gaining FMC’s trust in the program to automate its procedures. He said that EHSI will make an effective contribution in supporting the Jordanian national economy, as it promotes a distinguished Jordanian product that was developed by national resources; especially that EHSI is about to sign similar agreements in regional countries like the Kingdom of Saudi Arabia, United Arab Emirates and other countries.